We’d love your help. Let us know what’s wrong with this preview of Secret Life by Bria Quinlan. Rachel Wells is a liar—big time. No one outside her family knows about the panic attacks or meds, the weekly therapy drive-bys or the “safe” outfit. If she could hide it all from her string of ex-boyfriends and her best friend Amy, then why should anything change? But, when the one guy as messed up as she is blackmails her into helping him, life goes from closely restraine Rachel Wells is a liar—big time. No one outside her family knows about the panic attacks or meds, the weekly therapy drive-bys or the “safe” outfit. If she could hide it all from her string of ex-boyfriends and her best friend Amy, then why should anything change? But, when the one guy as messed up as she is blackmails her into helping him, life goes from closely restrained to out of control. Sometimes choosing between sanity and love is the craziest thing of all. To ask other readers questions about Secret Life, please sign up. I don't write reviews for books. I just don't. I can't. I'm mean, I'm picky, I usually hate everything, and so its for the best if I just don't say anything about the book. But I couldn't not say anything about this book. 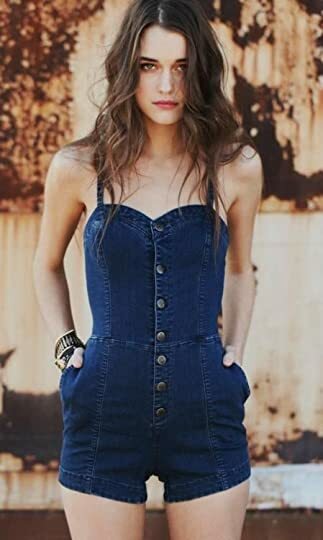 Lets just start with I fell in love with Bria Quinlan as a writer when I read 'Secret Girlfriend.' I bawled through the whole book. Straight up, tears running down my face, wiping the snot away bawled. My husband laughed at most of the time. I eagerly started the next book becaus I don't write reviews for books. I just don't. I can't. I'm mean, I'm picky, I usually hate everything, and so its for the best if I just don't say anything about the book. I eagerly started the next book because I had to have more. More Amy, more Luke, more Rachel, and more Chris. I needed more warm Parker family fuzzies, more Amy find family. Just more. I got a whole lot of that in Secret Life. Secret Life is not about Amy anymore, which is great. Because Amy was super sweet, but kind of dumb. I loved her for who she was, but she was a silly girl. Secret Life is about Rachel and what she's hiding from everyone, which is a whole mess of problems. Problems she doesn't want to talk about, problems she doesn't want anyone else to know about. I've never felt more understood than the moment I read the scene in Rachel's bedroom when she's having her latest and greatest meltdown. Bria took all of my emotions as a teenager and made them into a person. A person I could look at and watch and see. I was diagnosed with two things when I was very young. Chronic Depression and Social Anxiety Disorder. In Junior High it was bad. Speaking wasn't an option outside certain social circles. High school was worse. Those Emmy worthy performances Rachel was talking about- yeah, I have a few of those I'm more than kind of proud of. And the safe clothes. Dear lord, I still have safe clothes. Along with Rachel's obsession with lipgloss. For me it wasn't lip gloss, I just wore as many necklaces as my mother would let me out of the house with. But nothing hit closer to home than the meltdown. Everything in Secret Life puts into perspective what its like living with something like this day to day. It encourages getting help and treatment. It does not glorify the issues Rachel deals with, but it doesn't villainize her either. Its a perfect balance of what actually happens in situations such as these. 4.5 stars -- LOVED this one. It was so NOT what I was expecting. I mean, I'm not sure what I was expecting... I knew it would be Rachel's story, but holy hell did I not know anything about her. And I totally thought Jared was going to be the counterpart. WRONG. Rachel surprised me right from the start of this book. I have never had any experience with Body Dysmorphic Disorder, other than having vaguely heard about it and made aware that it exists. So I really loved getting to know Rachel and see 4.5 stars -- LOVED this one. It was so NOT what I was expecting. I mean, I'm not sure what I was expecting... I knew it would be Rachel's story, but holy hell did I not know anything about her. And I totally thought Jared was going to be the counterpart. WRONG. Rachel surprised me right from the start of this book. I have never had any experience with Body Dysmorphic Disorder, other than having vaguely heard about it and made aware that it exists. So I really loved getting to know Rachel and seeing what she went through on a daily basis in her life while struggling with BDD. And not just her, but her family (and eventually her friends too). So many people deal with so much stuff, and I thought this was a well-executed look at a teen struggling with a unique problem while trying to survive her teens. So much of what she was going through could be somewhat relatable for anyone who's dealt with an anxiety issue or depression -- from not wanting to be on medication, to balancing a therapist and all that that entails. And then there's Ben. I seriously LOVED the friendship that developed there. It was *almost* my favourite part of the whole book. Seriously. What a surprise side plot. PLEASE PLEASE PLEASE tell me the next RVHS book will be Ben's....and from Ben's perspective. PLEASE. Oh, and while I'm begging, this book really needs a followup happiness novella for Rach and Chris. Seriously. NEEDS. Just point me to the thing I need to do to get that in my greedy hands and I am there. I can't lie .. I was really skeptical about Chris being the main guy in the story since I really didn't like him in the first book, but I changed my mind when I saw how much he was trying to fix himself, and Rachelle is dealing with her own problems too, I admit I did like her with Jared more and their relationship was a lot smoother but Chris wasn't that bad either .. The ending wasn't satisfactory for me, I needed more closure with those characters .. I hope we get another book about Ben and h I can't lie .. I was really skeptical about Chris being the main guy in the story since I really didn't like him in the first book, but I changed my mind when I saw how much he was trying to fix himself, and Rachelle is dealing with her own problems too, I admit I did like her with Jared more and their relationship was a lot smoother but Chris wasn't that bad either ..
Can we just take a moment. Just one moment to bask in the freaking awesomeness that was this book. The unexpected depth, the smarts, the everything that this was. Wow. I'm in shock. Not the same shock that I wrote about a couple of days ago when things were happening in a book that I didn't understand. I'm in shock because this was so good. Not only was this so good but it was freaking quality. I want to cry with how happy I am. FINALLY. Finally an author doesn't treat me like I'm dumb. Finally an authour freaking lets you into the character's mind so you can feel their emotions and think their thoughts along with them. And actually understand why they feel the way they feel instead of just being told to understand them. FINALLY somebody has stopped manufacturing drama to carry a book along. Finally we don't get the hot girl miraculously fixing a man whore. Finally I don't get told how broken somebody is but actually shown. We get to live broken with them. But in an oh so real, and not at all patronising, manipulative way. Yes we get this. We get depth and layers and realness. We get characters that (view spoiler)[ realise they are no good for each other and actually STEP AWAY!!!!!!! AND FREAKING HEAL ON THEIR OWN BEFORE COMING TOGETHER. (hide spoiler)] I cannot deal with how happy I am that I read this. At first I thought it was going to be good but typical you know? But this book started and then just got better and better and better until at the end my cheeks hurt because I was smiling so much. I could say so much more. SO much more. But I wont. Notes: Clean. Was gonna be 4 stars but the last third of the book kicked it up to 4.5. Also can we take a second to appreciate the awesomeness that was Rachel's mother and Ben! I never saw this story coming after reading the first book in the series, Secret Girlfriend. We barely got to know Rachel in book 1 and we didn't always see the best sides of Chris. But I loved how the author paired these two together. I loved that they were both broken but trying to change. I love that after reaching rock bottom, they did what was necessary to heal before moving forward. I'l be honest that it took me a little bit to get into this story because it wasn't what I was expecting, but I never saw this story coming after reading the first book in the series, Secret Girlfriend. We barely got to know Rachel in book 1 and we didn't always see the best sides of Chris. But I loved how the author paired these two together. I loved that they were both broken but trying to change. I love that after reaching rock bottom, they did what was necessary to heal before moving forward. I'l be honest that it took me a little bit to get into this story because it wasn't what I was expecting, but I ended up loving it as much as I did the first one. As the narrator, Rachel really grew on me and I absolutely loved Chris in this story. I loved Rachel. Rachel is (view spoiler)[diagnosed with BDD. (hide spoiler)] I didn't really know the subject but it seemed to me that the subject matter was well treated and helped me to get a better understanding of it. I warmed up to Chris. You could understand why the guy was so f***ed up. Their relationship was very interesting and their feelings seemed deeper. Hope there is other books in this series with Ben and Justin. And why not Jared, even though I disliked h Better than the first one. Secret Life is an absolutely amazing high school story, with the romance not being the main theme. Rachel is amazing well written, with so much depth and realism. She has Body Dysmorphic Disorder, and the ways in which it affects every single part of her life is overwhelming. She has been hiding her problems from her friends and is trying to discontinue taking any meds for her condition. As with any meds, she doesn't like how they make her feel, as well making her feel like a failure for needing Secret Life is an absolutely amazing high school story, with the romance not being the main theme. Rachel is amazing well written, with so much depth and realism. She has Body Dysmorphic Disorder, and the ways in which it affects every single part of her life is overwhelming. She has been hiding her problems from her friends and is trying to discontinue taking any meds for her condition. As with any meds, she doesn't like how they make her feel, as well making her feel like a failure for needing them. This book was so much more than I could have ever anticipated. And I loved every single second of it! Chris, a former boyfriend of Rachel's best friend, asks Rachel for tutoring help. Chris had a bad reputation, which Rachel is well aware of. As she gets to know Chris though, she starts to see parts of the real Chris, as opposed to the fake role he assumes most of the time. Both Rachel and Chris are dealing with issues that are completely tear-jerking. It's a classic example of there being so much more about a person that they show the world. As well, it shows realistic examples of the behavior that people start exuding to avoid their real problems. This was a rather different subject topic and when written as POV of a character with this disease - Well it was interesting. While I was not so into Chris, Rachel was pretty cool and when she had her big melt down my heart really bled for her. Definitely a good read to take you out of a reading slump. I really enjoyed Chris and Rachel's story, and the growth they made within themselves from being with each other. I hope to read more books within this series, especially Ben's. A good book. I loved Rachel' s mother. She rocks! I read this immediately (like, we're talking minutes after) I read Secret Girlfriend. Rachel's story was complex and heartbreaking. I loved the whole thing. Bria tells Rachel's story in a way that is both traumatic to the reader and encouraging. Sometimes it's hard to look beyond ourselves to what someone else may be going through because we're going through something ourselves. Rachel's difficult balance with who she chose to let in was relatable in so many different ways. And I loved the layers I read this immediately (like, we're talking minutes after) I read Secret Girlfriend. Rachel's story was complex and heartbreaking. I loved the whole thing. Okay. Wait. What? This is Chris' story? Chris who was such a jerk and a man whore at book one?? *laughs* Okay. That was quite unexpected. And with Rachel, nonetheless. The lip gloss obsessed best friend of Amy. Ahh, really. So, when I got this book, I hadn't even checked it out in goodreads first. Or even read its synopsis. I was desperate to read something. So imagine my surprise when I read this book--Chris' book nonetheless, and with Rachel. Okay, so I've given this author a second go, and it still doesn't fit the bill for me. The author tries to address some heavy issues in this book and as with book 1 in this series I don't think they are well executed. The flatness of plot and lack of characterisation I complained of in book 1 are just as present here. Never say never but I can't see myself reading further books from this author. Since this is the first book in the series I have read (though #2 in the series), the world and characters were new to me, but enough backstory was explained that Secret Life works as a standalone. Even if I didn't get all hints and references to book #1, I never felt like I was missing something. 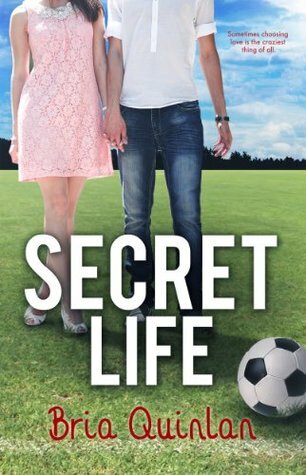 Story-wise, this was not quite what I expected; Secret Life tackles some tough subjects, but in a relatable manner. While I like both Rachel and Chris, my favourite character is definitely Rachel's Mom Since this is the first book in the series I have read (though #2 in the series), the world and characters were new to me, but enough backstory was explained that Secret Life works as a standalone. Even if I didn't get all hints and references to book #1, I never felt like I was missing something. While I like both Rachel and Chris, my favourite character is definitely Rachel's Mom - that is one awesome lady, and the world could really use more people like her. I have not read book 1 in this series, but it stood alone very well. Rachel is a young woman suffering from BDD (Body Dysmorphic Disorder) and she is keeping it a secret. She has been trying to stay off the meds through the summer but returning to school and being dumped by her boyfriend triggers a panic attack. Most of the book is about Rachel trying to get through life with the disabling disease. She is asked to tutor Chris (Amy's ex) and they form a friendship that turns into more. Both Chris I have not read book 1 in this series, but it stood alone very well. Rachel is a young woman suffering from BDD (Body Dysmorphic Disorder) and she is keeping it a secret. She has been trying to stay off the meds through the summer but returning to school and being dumped by her boyfriend triggers a panic attack. Most of the book is about Rachel trying to get through life with the disabling disease. She is asked to tutor Chris (Amy's ex) and they form a friendship that turns into more. Both Chris and Rachel have their own demons and must find a way to handle them. The book is the second story in the series. I have not read book one in the series but this book stood alone very well. The story has some romance but it also is a heavy read about teen anxiety Rachel one of the main characters she is a young woman that is suffering from Body Dysmorphic Disorder and she is keeping it a secret. Really interesting character. I don't want to give anything away but while I couldn't relate to Rachel, reading her story was a fascinating insight. Some of her decisions made me angry and some made me sad, but I could understand her motivations which to me is the sign of a well-written character. What is interesting in this book is how it showcase some teenagers psycologic problem. What I don’t like it how the teenager act like they are adult. I get that Rachel has some issues but this girl is one hot mess. It was hard to like her at times but there were times I just wanted to hug her. I felt she spent way too much time in her head. This is the second book by BrianQuinlan that I read and just thinking about it makes me happy. This book has a really cute story, I wasn't really feeling it at the beginning but then I just couldn't stop reading. The way Rachel is, how she feels and go she sees herself just makes me love this book because is not then normal love story you read out there. Chris is the typical "popular athlete that has the perfect life and lives to have fun" but he's not, through the book you just realize how lost fe This is the second book by BrianQuinlan that I read and just thinking about it makes me happy. Chris is the typical "popular athlete that has the perfect life and lives to have fun" but he's not, through the book you just realize how lost feels and how Rachel just keeps thinking he talks to her because he wants Amy back. The way Bria explained how Rachel felt was something that I really liked because I felt like I understood what she was thinking and why she did some things. Anyway is just a really good book and it's worth the read!!!!! Finally a book that people can fully relate too. Everyone one has problems they hide, some more serious then others. Rachel suffers from a disease that is complicated, not being able to see who you are is difficult at best and the anxiety is sometimes more then she can bare. These two things can have devestating consquences. High praise to the author for sharing this very personal story. It touched my heart in ways that are difficult to express. Thank you for having the Mom in this story be a st Finally a book that people can fully relate too. Everyone one has problems they hide, some more serious then others. Rachel suffers from a disease that is complicated, not being able to see who you are is difficult at best and the anxiety is sometimes more then she can bare. These two things can have devestating consquences. High praise to the author for sharing this very personal story. It touched my heart in ways that are difficult to express. Thank you for having the Mom in this story be a strong, supportive, empathic Mother, but not a Mom that is overly perfect or a doormat. As a mom who has a daughter that suffeers from terrible anxiety, I appreciate the loving relationship shown. I know first hand that sometimes tough decisions need to be made for the most loving of reasons, and that limits are necessary to make it all work. It was also nice to see that Amy, Luke, and newly introduced Ben were open to the idea that they could help Rachel once she opened up and were protective over her. That is the mark of true friendship. Once Chris was able to open up and admit his mistakes, it made him more likeable, even when he screwed up big time. I enjoyed the first book in the serie, like I enjoy every well-written YA romance. Probably a little more than most ;) But THIS ONE ? What I loved the most about this book though is that eve I enjoyed the first book in the serie, like I enjoy every well-written YA romance. Probably a little more than most ;) But THIS ONE ? Secret Life is the continuation of Secret Girlfriend. We find two characters of the first book, Chris Kent and Rachel, Amy's best friend, falling in love with each other. Rachel didn't like Chris at all because he did what he did to Amy, but ended up helping him as a tutor, which is how they fell. They are both a bit problematic; she has body dysmorphic disorder, which she hides from everyone, and he has problems of self-steem due to his family. I don't usually like books with too much angst and Secret Life is the continuation of Secret Girlfriend. We find two characters of the first book, Chris Kent and Rachel, Amy's best friend, falling in love with each other. Rachel didn't like Chris at all because he did what he did to Amy, but ended up helping him as a tutor, which is how they fell. They are both a bit problematic; she has body dysmorphic disorder, which she hides from everyone, and he has problems of self-steem due to his family. I don't usually like books with too much angst and I think it had too much focus on their problems. In the first book, for example, Amy also has problems, her mother died, her father wasn't there for her, but it wasn't so important compared to her problems with the boys and how she worked them out. In this one their problems are so big, it's the whole reason they don't get together, we hear about it the whole book. A lot better than the first book. I love the last chapter. Bria Quinlan is an award-nominated bestselling author of eight Romantic Comedies and YA Issue Books (that she swears are funny...really. They are.) Her books make you snort Diet Coke out your nose or tear up and curse her name. Facebook: https://tinyurl.com/y9bcw Bria Quinlan is an award-nominated bestselling author of eight Romantic Comedies and YA Issue Books (that she swears are funny...really. They are.) Her books make you snort Diet Coke out your nose or tear up and curse her name. #5 ---> COMING relatively SOON! It didn’t surprise anyone when Bria Quinlan started writing YA Rom Coms… after all, her life is a walking sitcom (minus the commercials). Plus, secretly she’s still 16 (although her license says something different). Finally putting those English Literature and Creative Writing degrees and Copy Editing cert to work, Bria’s excited to get her quirky stories on the page to share with the world (or at least a segment of it). She’s represented by the awesomely amazing Lauren Macleod of the Clan…. Oh, wait. Of Strothman Agency. She also writes sweet & sassy Contemporary Romances as Caitie Quinn.